The Principessa Rita Boncompagni Ludovisi has agreed to give a tour of the Casino dell'Aurora to members of the Canadian Club. This is a very unusual opportunity, and the size of our group must be strictly limited. Only full members of the club can be included, and it is unlikely that we can accommodate all requests to participate. For those who cannot take part this time, we will try to schedule another visit later. The Casino dell’Aurora Ludovisi (or of Villa Boncompagni Ludovisi) is the only building spared from the nineteenth century demolition of the Villa Ludovisi, a much larger property of lush gardens, fountains and statuary, a required stop for artists, writers and travelers on the Grand Tour. The Casino was a country retreat built in the 16th century by Cardinal Francesco Maria del Monte. In 1597, the Cardinal, a connoisseur and collector of art, commissioned Caravaggio to decorate the ceiling of his Studiolo on the second floor. 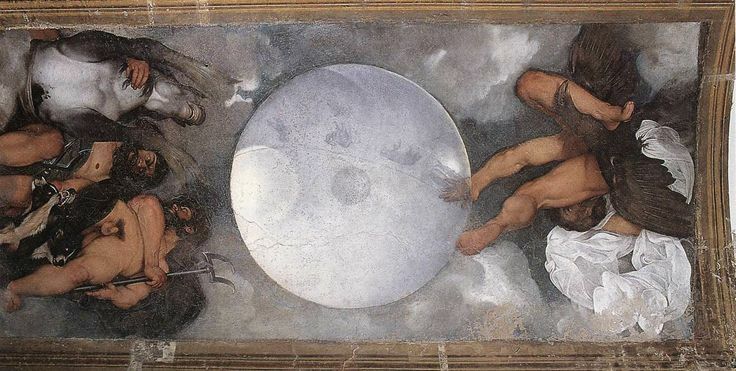 This ceiling, the only one Caravaggio is known to have painted, was eventually covered over, only to be rediscovered in the twentieth century. In 1621 the Casino was sold to Cardinal Ludovico Ludovisi, who appointed Guercino that same year to paint the fresco on the ceiling of the central hall on the ground floor. 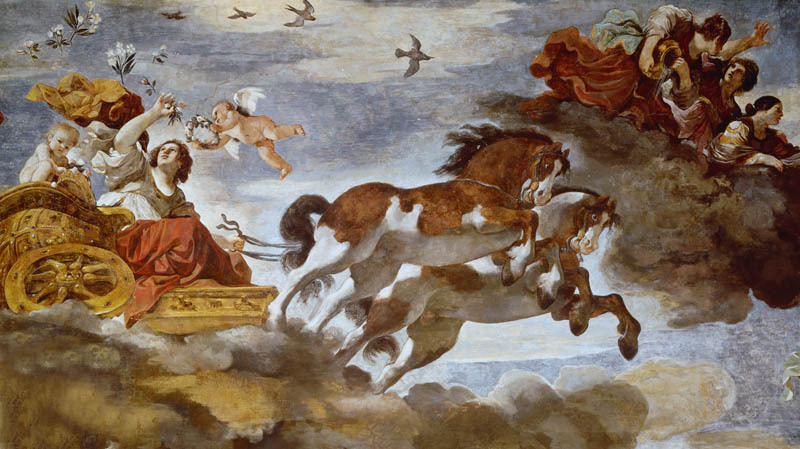 This greatly admired fresco depicting Aurora tossing flowers from her triumphal chariot gave its name to the building. The descendants of Cardinal Ludovisi still own the Casino, but the park was sold and is now built up with hotels and houses. Today, the Principessa Rita Boncompagni Ludovisi devotes herself to the restoration of the villa and often gives tours recounting the history of the 16th century house and its collection of masterpieces. Where: Via Veneto area; exact meeting details will be sent to confirmed participants. Cost: €20 per person; CCR members only; you are financially responsible for your booking.